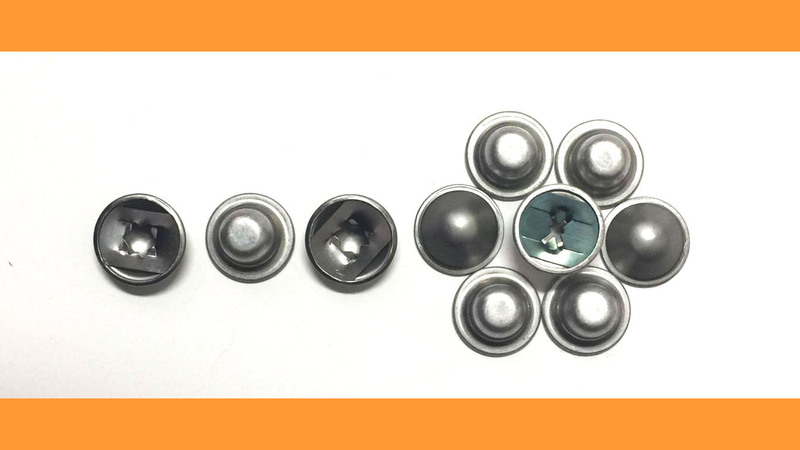 Cap Nut - Special Metal Stamping - We Can Take The Heat! Special Metal Stamping Aluminum Push-On Cap Nut Fasteners are available in three attractive cap designs for stud sizes ranging from .080" to .500". Special Metal Stamping's Cap Nut Fasteners have been used in a variety of OEM applications. These uses include keeping electrical wires within panels and stereo cabinetry in place. Our clients use them in building and ship insulation. Automotive emblems and light wheeled toys round out the list. This is on top of standard uses, such as electrical control panel covers and nameplates. As you can see, there are many uses for our Cap Nut Fasteners. 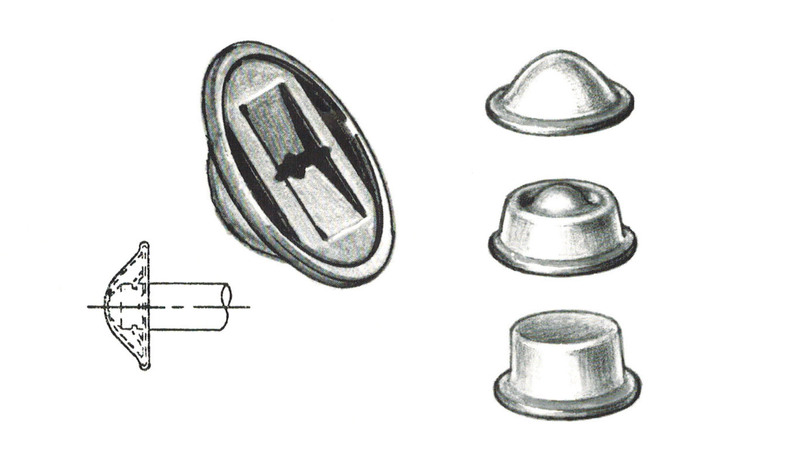 Of course, we designed our Cap Nut Fasteners with security in mind. This why they have a styled aluminum cap. 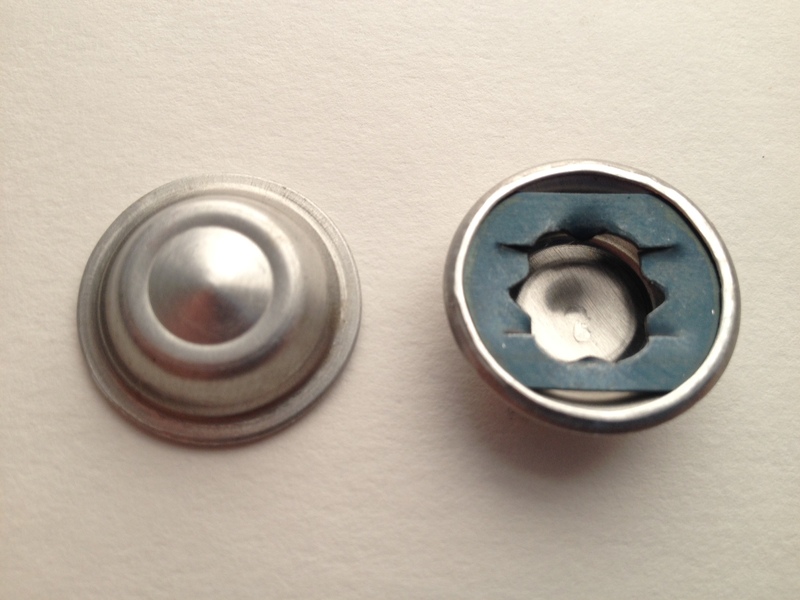 The cap comes with either a tempered spring steel or optional stainless steel insert. This insert grips the shaft or stud, holding it in place. 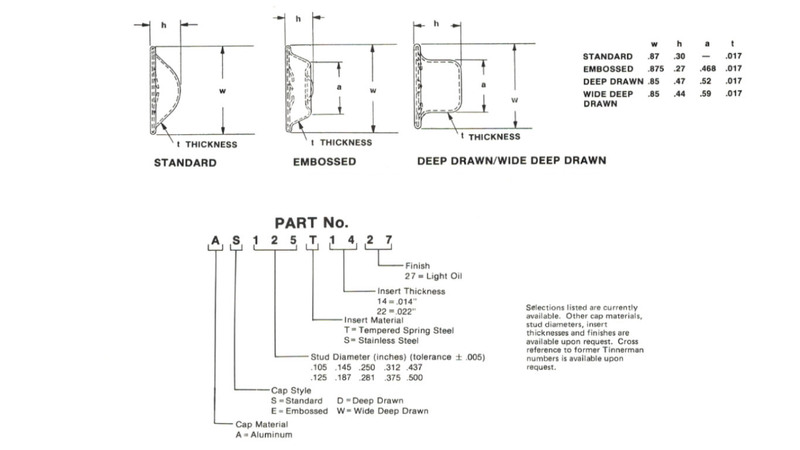 And yes, most of our stud diameters have a six-point contact on the edges of the shaft. In layman's terms, this makes it work like a spanner washer. 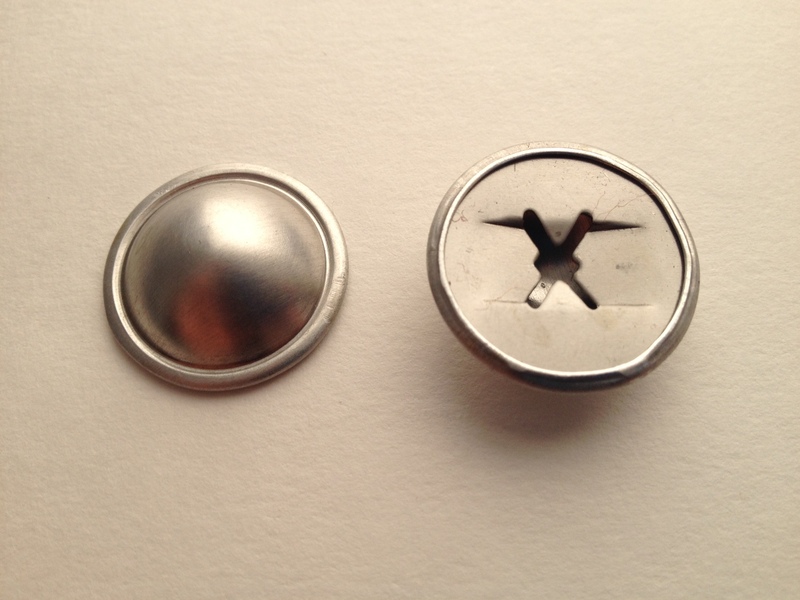 Plus, the design distributes the fastener's holding power over a larger area. Basically, this keeps it in place no matter the circumstances. On top of this, the single O.D. design makes assembly easy. After all, it eliminates the need for things like cotter pins and actual washers. 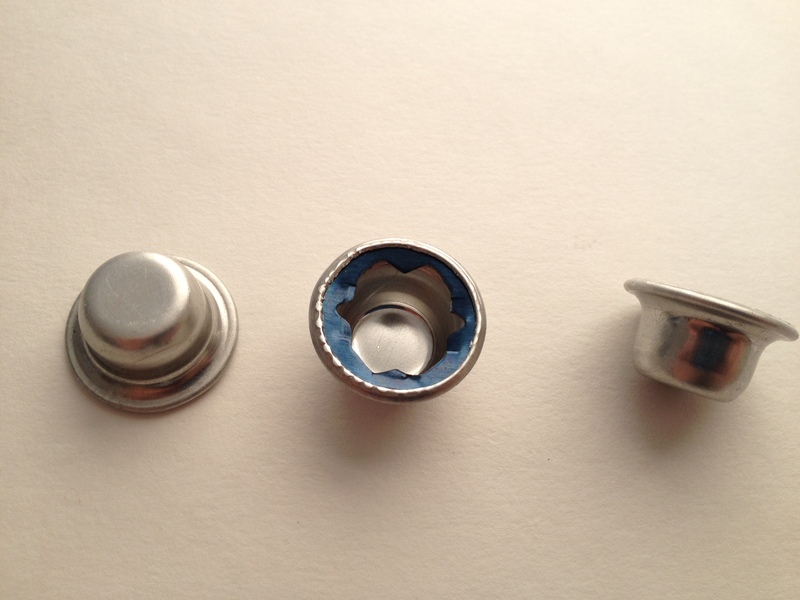 As an added bonus, Special Metal Stamping Aluminum Push-On Cap Nut Fasteners are available in three attractive cap designs. We make them for stud sizes ranging from .080" to .500". 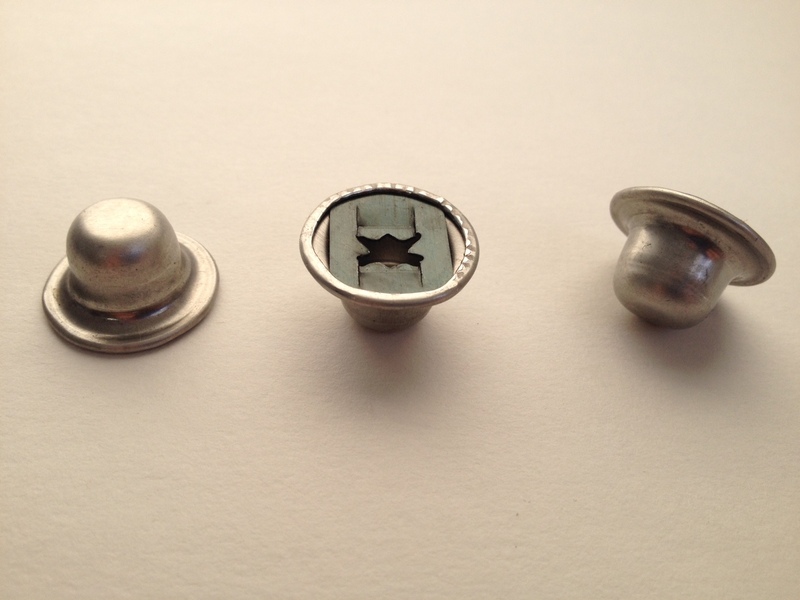 In case you weren't aware, cap nut fasteners should be positioned squarely over the stud and pressed into the locked position by hand or with the light tap of a mallet.